Aside from you, nobody knows your MINI better than MINI of Ann Arbor. That means when your MINI requires maintenance or repairs, we fix it right the first time – every time.Staffed with factory-trained technicians and a workshop full of specialized MINI tools and diagnostic equipment, we make quick work of even the most challenging repairs. 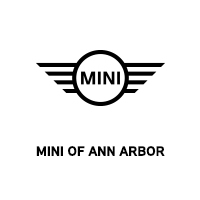 Why Service With MINI of Ann Arbor? So whether your MINI Hardtop is due for a synthetic oil change, your MINI Clubman requires brake pads, or the Check Engine Light is staring back at you from the fascia (dashboard) of your MINI Countryman – trust the team at MINI of Ann Arbor to get your MINI back into motoring shape! From bonnet stripes and mirror covers to roof racks and bike racks- we have all of the accessories you need to fit your lifestyle. We have some of the best deals for maintenance items. See how much you can save on your next oil change. Your tires are important. Learn more about tire maintenance and why you should shop at our tire center. If your brakes need maintenance, stop by MINI of Ann Arbor. Our brake supplies are specially designed for your MINI. Visit MINI of Ann Arbor for expert service. You’ll receive competitive pricing on a variety of services, so you’ll know what you’re paying upfront. Visit MINI of Ann Arbor for vehicle-specific battery service. You’ll receive competitive pricing on a variety of batteries and installation, so you’ll know what you’re paying upfront.